Add stylish accents to your space that will make you smile. By doing this, you can take attention away from the negative aspects of your bathroom and draw attention to the things you love! 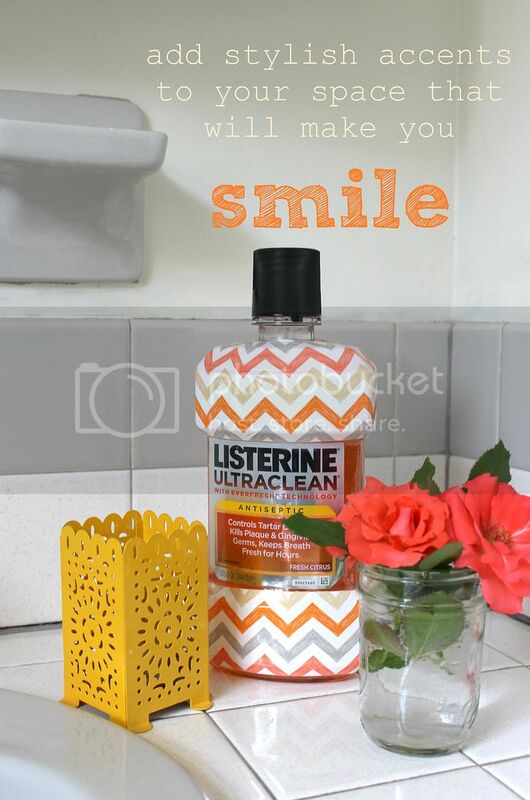 An easy way to do this is with this awesome new Listerine bottles. How fun is the chevron? 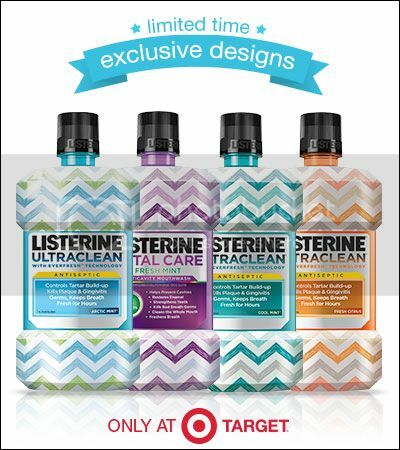 I’ve also never tried a citrus mouthwash before – I love it for after I brush my teeth in the morning. 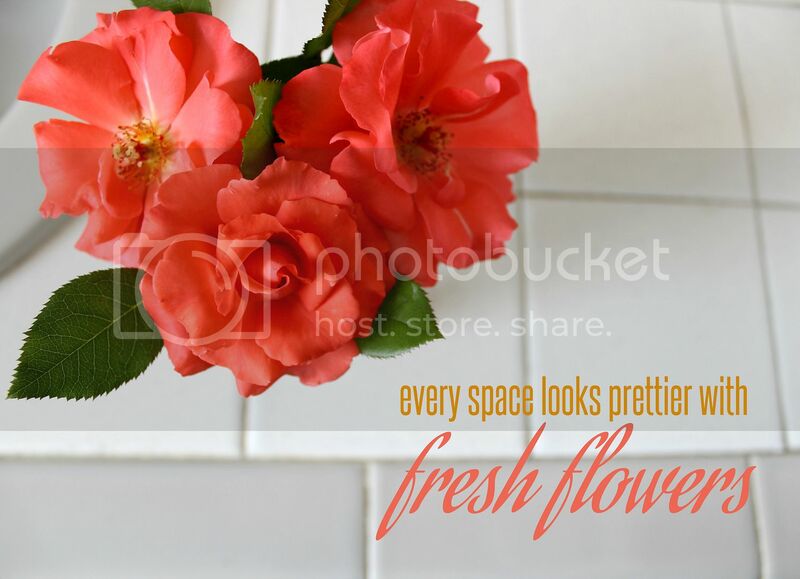 When all else fails – add fresh flowers! While this may not be practical for every day, it’s an awesome way to freshen up an ugly bathroom when you have company over! Again – it’s all about drawing attention away from the bad in your bathroom! 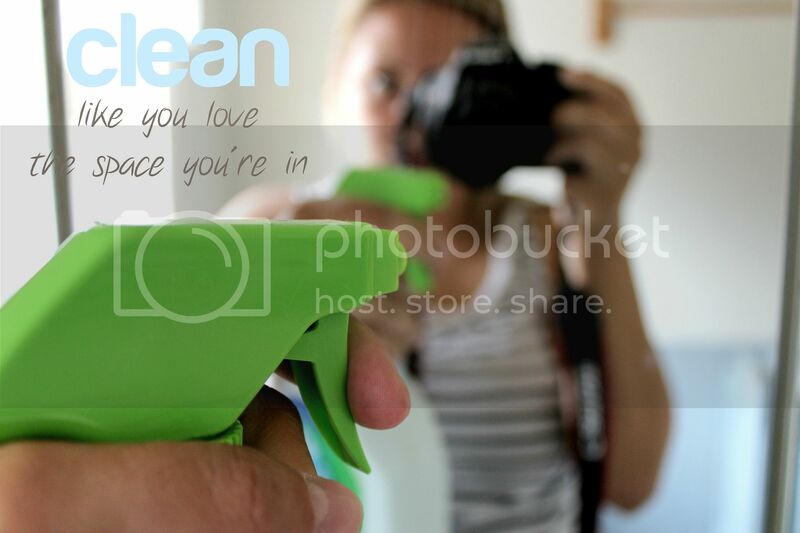 Remove what you can, clean like you love it, and add some beauty to your space! 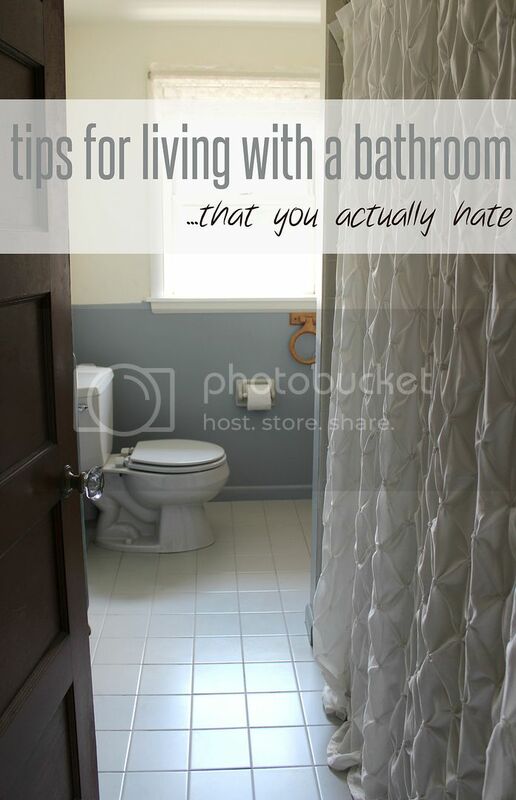 Do you have an ugly bathroom? 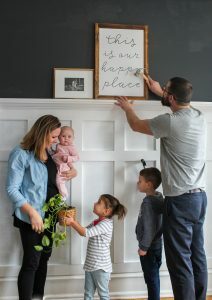 Have any favorite tricks to embrace your space? I love this post! 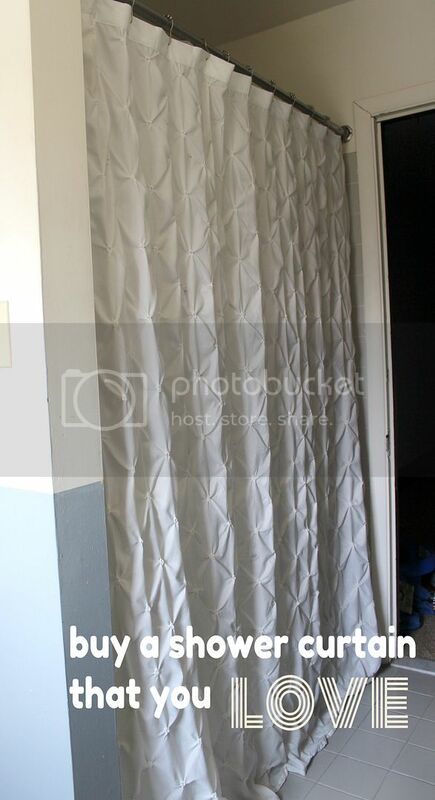 I just bought a new house and we are holding off for a while on remodeling the bathros. This advice sure came in handy!! Have a great day!